Simply put, under certain circumstances (when using specific camouflage-boosting commanders like Erin O’Connell), these AFVs are too stealthy, making them almost impossible to detect, let alone eradicate. In skilled hands, such recon AFVs are able to completely dominate the flow of battle far beyond the level intended by game designers. 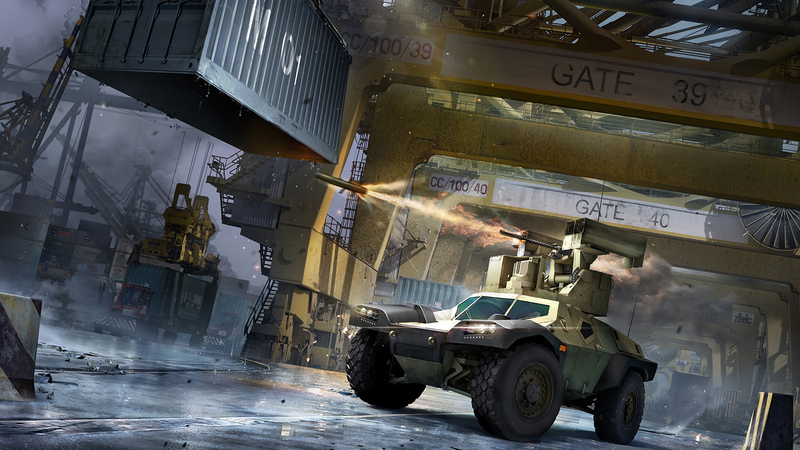 To remedy these issues, Armored Warfare prepared a number of corrections to the existing camouflage mechanics. This is why it was decided to overhaul the environmental camouflage equation as such. Using the new formula, the distance a vehicle is spotted at will still be reduced by the camouflage factor, but afterwards, this value will be divided by (1+environmental bonus for the bushes between you and the enemy). Please note that two bushes at most are counted for the purpose of this equation – you can’t receive a bonus from more than two bushes. Naturally, after such a change, we also have to overhaul the environmental bonus provided by in-game foliage. Previously, the maximum environmental bonus per bush was 0.3 (that could stack up to 0.5 for two bushes) – now, the bonus per bush will have a value of 1 and will stack up to the maximum value of 2. To address the issue of hidden AFV behind bushes firing missiles without being spotted, AW will be also changing the way environmental camouflage bonus loss when firing a weapon works. In the current version, your environmental camouflage bonus can be reduced by firing your own weapon with the bush carrying the highest environmental camouflage bonus value within 15 meters of you losing 66 percent of their environmental camouflage bonus for 5 seconds. In Season 1, AW will be changing this mechanism – upon firing, 50 percent penalty will applied to the entire (final) camouflage bonus the vehicle receives instead. In other words, the penalty will not affect the “best” bush, but all the bushes and other environmental camouflage bonus sources providing a bonus to the vehicle in question.